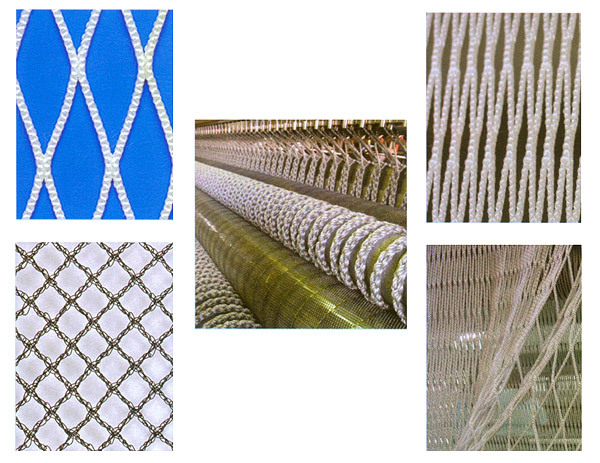 Fishing Nets (WMF) - Wei Meng Industrial Co., Ltd.
Applicable yarn: HDPE monofilaments, polyester, nylon. Working Width: 75" - 210". Gauges: 6 - 18 needle per inch. Warp supply system: From: Warping beams. Performance: 350 - 400 RPM. Number of bars: 8 ground bars. Main motor: 3.75kw - 7.5kw. Machine weight: 6,000kgs - 8,000kgs. Equipped with 1 latch needle bar. 8 guide bars, 1 trick plate, 1 sinker bar. Drive of the knitting elements by combined crank and special cam, which are dynamically balanced and run in oil in the machine bed. Inching drive for easier run-in and for control of knitting elements. Provided for 6 yarn beams with 14" ~ 21" flange diameter. Yarn feed and tension controlled by beam brakes. 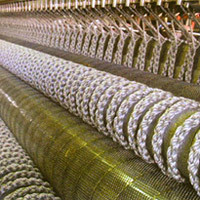 Four-roller fabric take-up. Separate batching device with its own drive for taking up a fabric roll of up to 40" = 1,016mm dia.